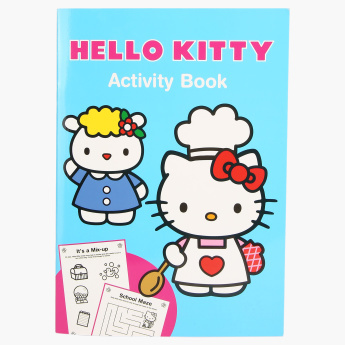 Hello Kitty Activity Book | Multicolour | Have loads of fun with this Hello Kitty themed activity book. Let your kid enjoy colouring and doing various activities using this Hello Kitty activity book. Perfect for developing various creative skills, it is a great pick. 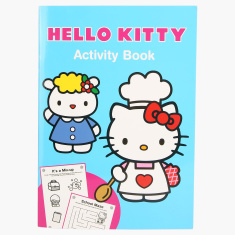 Feature 1 : Have loads of fun with this Hello Kitty themed activity book. Feature 3 : Kids will not only be entertained, but also learn new things and explore imagination. 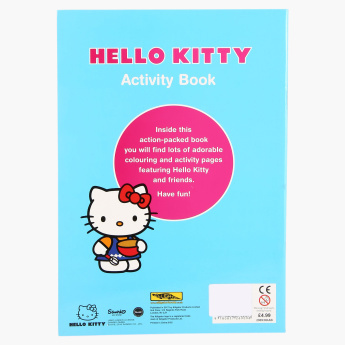 Feature 2 : This action-packed book comes with over 40 pages of activities including coloring, maze, number counting, spot the difference and more.